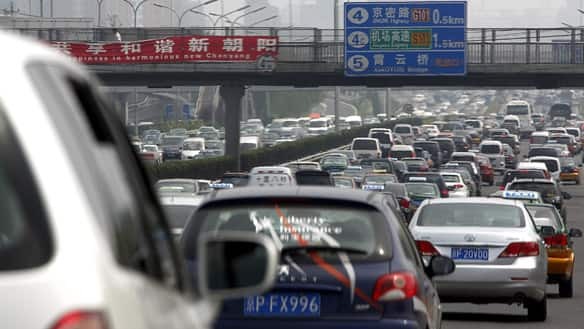 A nine-day traffic jam in China is now more than 100 kilometres long and could last for weeks, state media reported Monday. Thousands of trucks en route to Beijing from Huai’an in the southeast have been backed up since Aug. 14, making the National Expressway 100 impassable, Xinhua News reported. The construction is scheduled to last until Sept. 13. Stranded drivers appear to have few options when it comes to dealing with the jam.